To maintain the sound quality of your valuable piano, it should be regularly tuned and re-voiced. 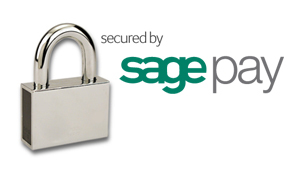 We have a computerised database to remind you when its time for tuning. 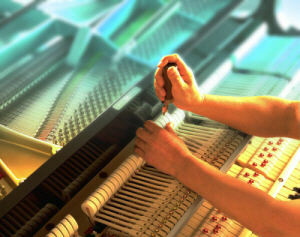 When it comes to piano tuning it is important that you use a qualified piano tuner/technician. We only use fully qualified piano tuners, which ensures not only that your piano is tuned to concert pitch, but that the tuning is stable. It can be very easy to learn to tune a piano, which can take only a matter of months, but tuning stability takes years and years of learning and practice. The difference in using a fully qualified tuner is that your piano tuning will last much longer. To organise a piano tuning, or for more information regarding piano tuning please call Jill Sheargold at our Cobham Showroom on: 01932 866577. If you have bought a piano from us it is important to have your piano tuned every 6 months to maintain the guarantee. We suggest tuning your piano when the seasons change, so have your piano tuned a few weeks after you turn your heating off in the Spring and a few weeks after you turn your heating off in the Autumn/Winter. Our fully trained team of tuners and technicians can help with all your requirements from minor repairs to major rebuilds or cabinet restoration, repolishing and polyester case repairs. It is a fact that a piano will go out of tune whether it is played or not. There has not been a piano ever made that does not require tuning (aside from digital pianos!). The main reason that pianos go out of tune is due to changes in humidity from season to season, affecting all pianos, new and old, played and unplayed. Pianos go flat in the winter months when dry heat expelled from your radiator draws moisture out of the piano's soundboard. In the spring, when you turn the heat off, the air is usually more moist. The soundbord absorbs this moisture, expands and causes the piano to go sharp by the summer.These seasonal changes in tuning are often most obvious in the mid-range of the piano. Fluctuations in room temperature surrounding the piano cause less of a change in tuning than humidity changes do. But, direct sunlight or heat from stage lights can cause rapid changes in tuning. When you move, it is not so much the transportation of the piano that throws the tuning out as much as the piano acclimatising to its new room environment. Wait about 2 weeks after you move before you get a tuning. If both humidity and temperature are controlled in the room where the piano is situated, these swings in tuning virtually disappear and your tuning is much more stable. So is the overall consistency of the touch response you'll get from the keyboard. New strings can cause the pitch to go flat. New piano wire is quite elastic and starts to stretch as soon as it is pulled up to pitch. This is why new pianos or pianos that have been restrung need to be tuned more frequently in the first year. Each time the wire is pulled up, the amount of stretching decreases and the tuning becomes more stable. Slipping tuning pins can cause a piano to go flat. Older pianos that have been exposed to regular seasonal humidity changes over the years can have loose tuning pins and as a result, have poor tuning stability. The louder and more often you play a piano, the faster it goes out of tune by a small amount. The force of a hammer repeatedly hitting a string can affect the equalization of tension along the string's length, and cause its pitch to be slightly altered. To put the matter of tuning in perspective, remember that a concert piano is tuned before every performance, and a piano in a professional recording studio, where it is in constant use, is tuned 3 or 4 times every week as a matter of course. When and How Often should I have my piano tuned? Have your piano tuned as often as you feel necessary, but a minimum of every 6-9 months is the rule of thumb. Generally speaking, when you turn off your heating in the spring and when you turn it on again in the Autumn you will not be far away from needing your piano tuned. Pianos under 'industry standards' should be tuned twice a year. We allow pianos to go up to 9 months between a tuning under the terms of our guarantees. How often you have your piano tuned depends entirely on the individual piano. How often is it played? Where is situated? Is it in a conservatory? Or a room where the temperature fluctuates regularly? All these factors play a part on the tuning of a piano. More modern pianos can withstand tempertature fluctuations a lot better than older pianos. A professional pianist playing their piano for 6 hours a day will require more regular tuning than other pianos, sometimes 4 times a year. The inner playing mechanism, call the "action" of a piano, is an amazingly complex and sensitive machine. Like any other machine, it needs to be kept in adjustment so that it works the way it was meant to work when it was built. Each key on your piano has over 25 points of adjustment that need to work together to produce the sound you hear when you play just one note! In order to compensate for wear, compacting of cloth & felt, and changes in wooden parts due to humidity, periodic adjustments must be made. Keeping the correct relationship between every part will prevent unnecessary wear, and will make the action "feel right" - that is, each key will function smoothly and evenly throughout the whole keyboard. No more sticking keys, uneven feel, notes that don't do what you want them to do, pedals that don't work properly, squeaks, clicks, rattles, buzzes and so on. Every piano has its own distinct sound or "voice". In many ways, that's how it was built and that is its personality. 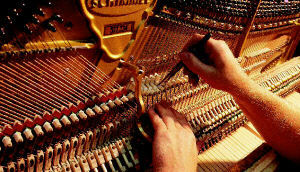 But over time, the more a piano is played, the more the hammer felt that strikes the strings wears down and compacts. This hardening can cause the tone to become too harsh or bright, and it's difficult to produce a wide or even range of expression, no matter how much you try to play using dynamics. In other situations, the piano may seem too dull or lifeless for your taste. Either way, a technician can treat the hammers in various ways: by aligning, shaping, careful needling or hardening the hammers, in order to get the tone you're looking for. Keep in mind, however, that a piano has to be finely tuned and regulated before it can be voiced. Our piano tuning services cover a wide area including piano tuning in Surrey, Berkshire, London, Hampshire, Kent, and beyond.